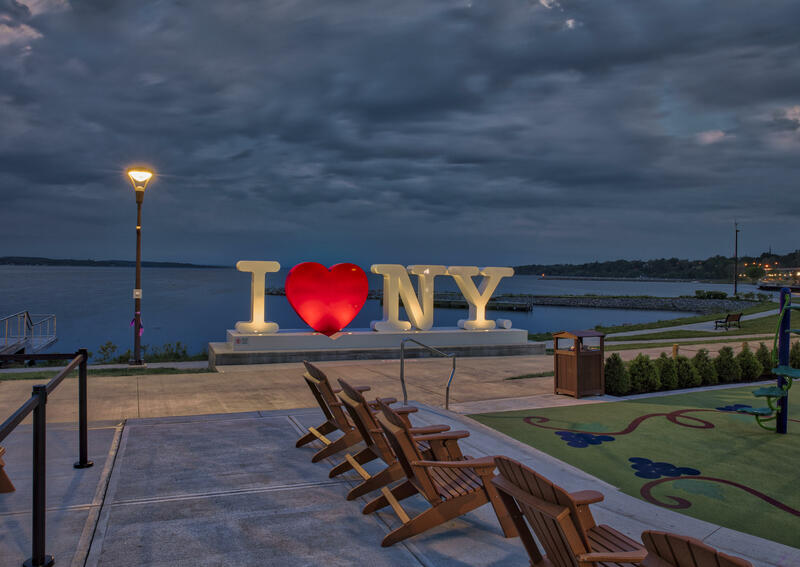 If you’re visiting the Finger Lakes, you probably know that food, wine, and, of course, lakes are what make this region so exciting. 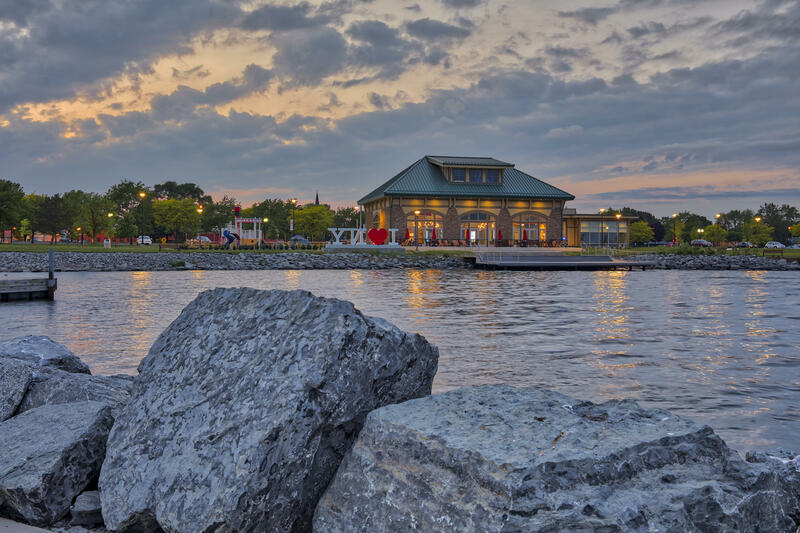 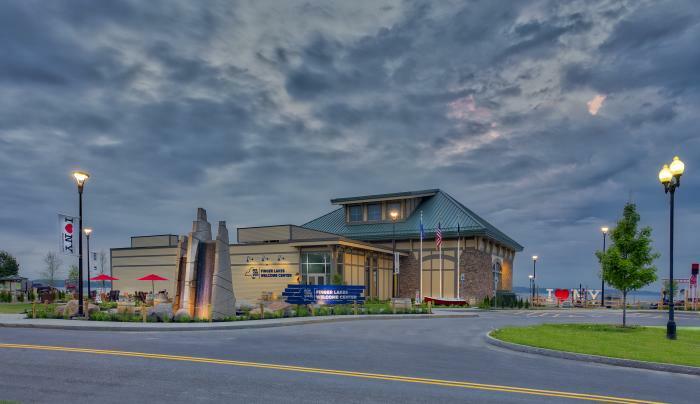 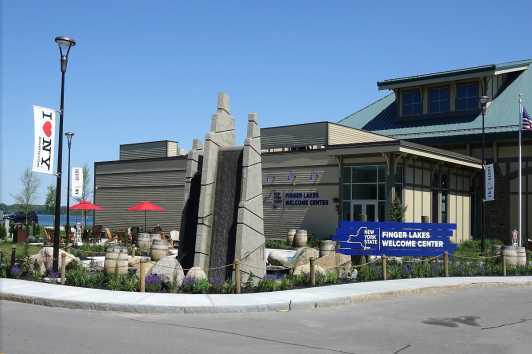 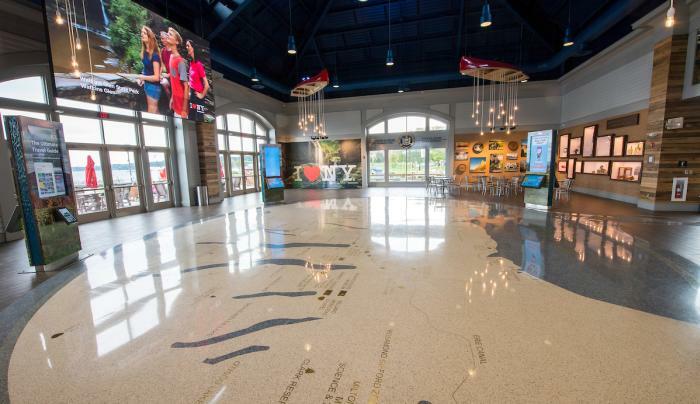 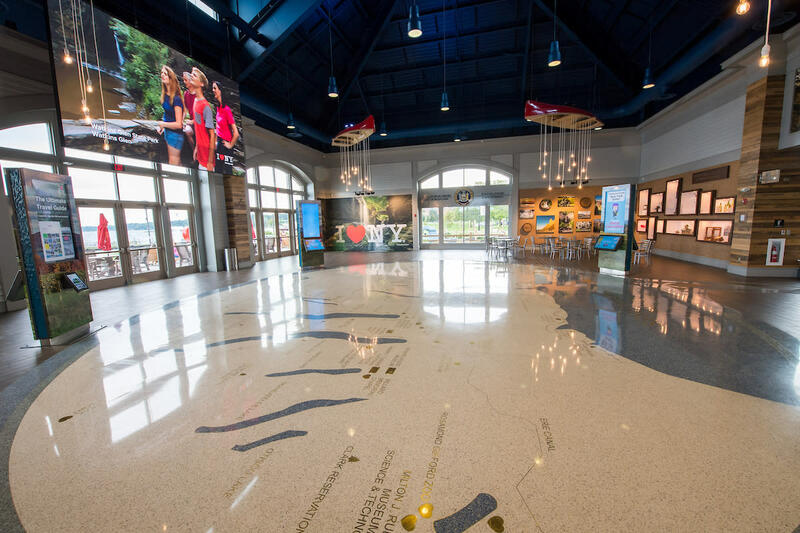 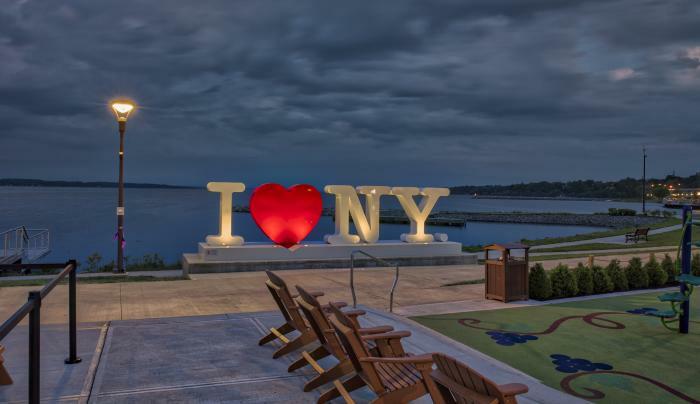 At the spacious Finger Lakes Welcome Center, located within view of Seneca Lake, these themes are on full display. 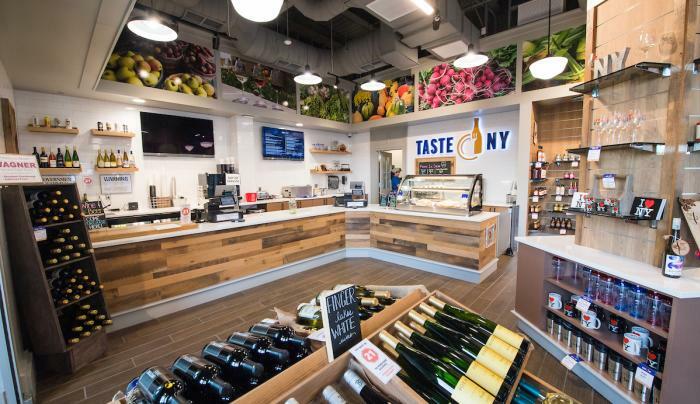 Here, you can take a break from traveling and try local specialties while grabbing a bite at the Taste NY Market, which offers hot and cold lunch options and a kids’ menu made from fresh ingredients sourced from farms and businesses within the Finger Lakes region. 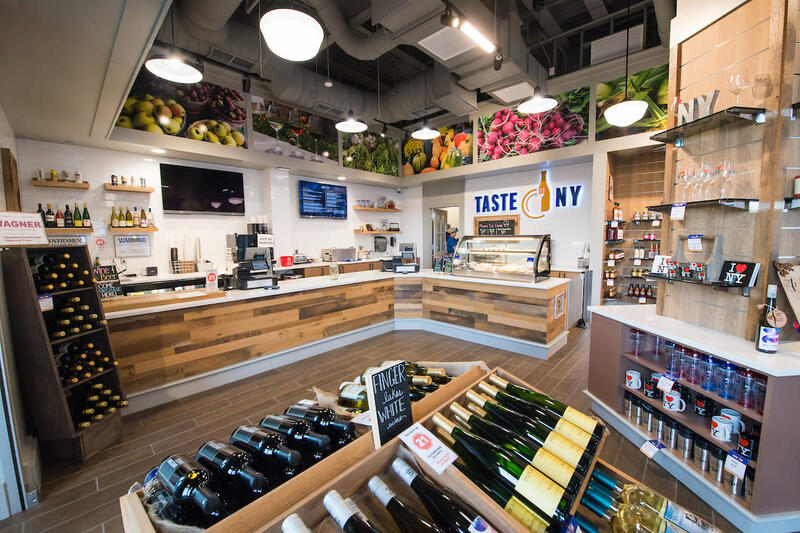 There’s also a wine bar selling wine, beer, and cider from Finger Lakes and New York State producers. 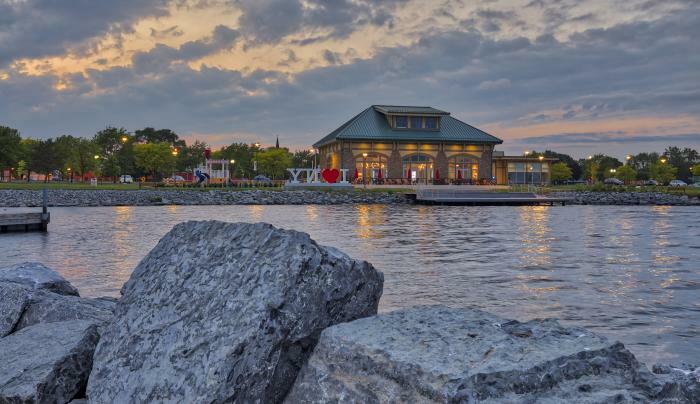 Outside, a playground featuring grape vines for climbing and a model paddle wheel boat will allow the kids to burn off some energy, while adults can relax on a deck overlooking the lake. 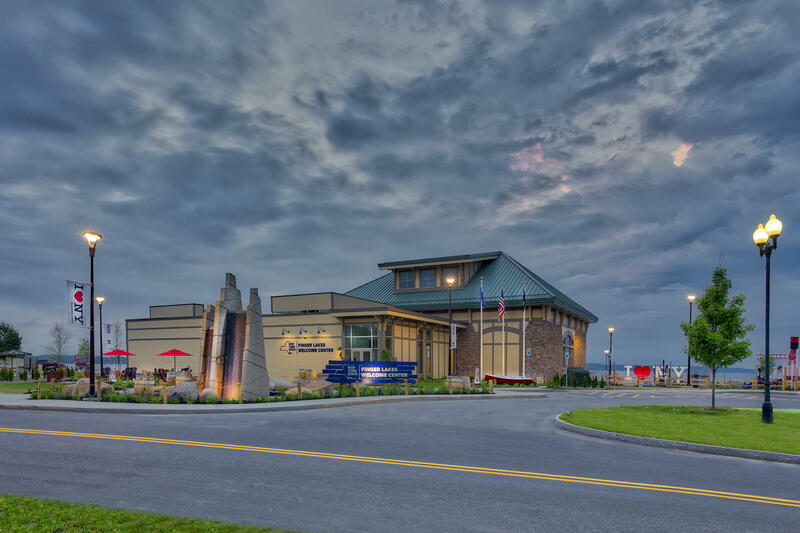 Additional amenities include rest rooms, ATM, vending machines and a community meeting room.